“Sarah’s just gone to get her face,” booms a voice; the “lovely audience” are then summoned to their seats. 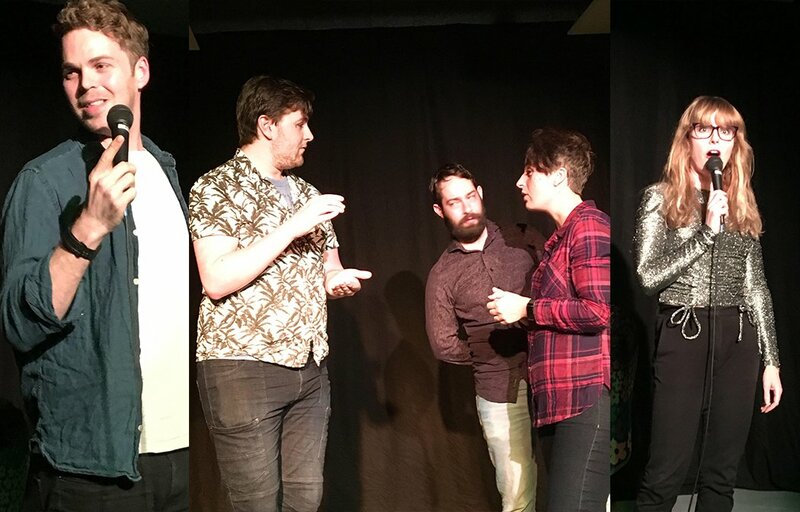 Lava Elastic is a monthly comedy show, based around the concept of neurodiversity. Featuring people with different ways of thinking-so, “not normal”, though that’s a different conversation entirely-it’s diverse. It features people on the autistic spectrum, for instance. As someone who is autistic, it’s groups like this that make me feel at home. Ali Macfarlan opens this month’s show; she’s also the host of Comedy Rocket. With her quick wit, the set took on local areas, such as Rottingdean. Blanket Fort were up next; a first for Lava Elastic, they were an improv group. Audience members had contributed random words to the set, which directed the scenes; “Teenagers on railways” finished with a jocular Thomas the Tank Engine sketch. “Kangaroo” and “Duck” created a new animal species; “Monkey” and “love” lead to a swearing presidental monkey looking for a banana. “Easter egg” and “lemonade” lead to a couple divorcing. (One had thrown an Easter egg at the Easter Bunny, awakening a giant.) “Delecious” and “beer” proved to be a repetative comedic gift. Sarah Saeed hosted the evening; she also appeared as part of Stealth Aspies at this year’s Brighton Fringe. Carl Carzana opened the second half; topics tackled? His new hair cut, talking to strangers, (or rather strangers talking to him), and how ‘young people’ talk these days. How do you describe someone who’s ‘hot’? Is it “hench” or “peng”? Victoria Melody was up next with her stand up comedy set. It was almost like she was speaking in couplets, given the pace of it. If you’re looking for something unusual, or an evening of laughter, make sure you see Lava Elastic; the next performance is on 17 November.